We are so excited that AK Press will be publishing the second, revised, and expanded edition of Captive Genders in October 2015. 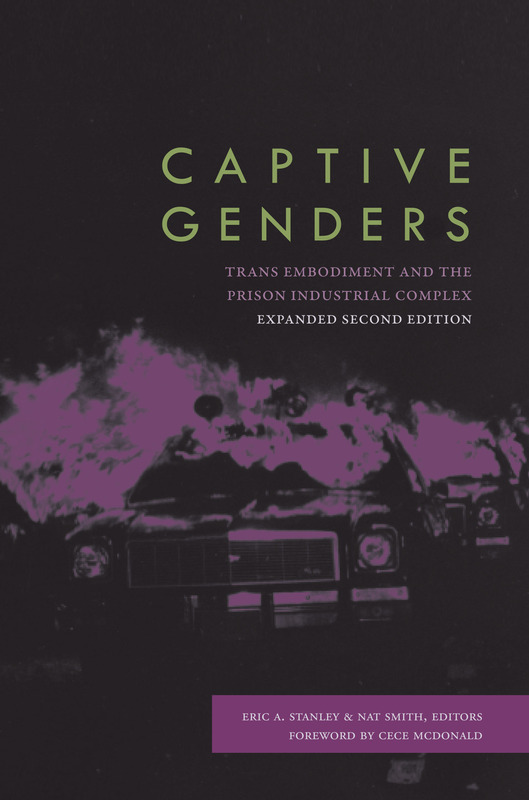 Along with all the brilliance of the first edition, it will include a new foreword by abolitionist and trans revolutionary CeCe McDonald which explores the importance radical books like Captive Genders played for her during her incarceration. From her prison cell, Chelsea E. Manning wrote “On the Intersection of the Military and the Prison Industrial Complex,” which thinks about the relationship between and military and the prison system. TGIJP Executive Director Janetta Johnson and journalist Toshio Meronek wrote, “Custody’s Long Shadow: Reentry Support as Abolitionist Work,” which argues that supporting people after they are released is vital to abolition. Radical Native transgender activist-scholar Kalaniopua Young wrote, “From a Native Trans Daughter: Carceral Refusal, Settler Colonialism, Re-routing the Roots of an Indigenous Abolitionist Imaginary,” which brings into focus the unsettled histories of colonialism, forced gender normativity, and prison. This entry was posted in Uncategorized by captive genders. Bookmark the permalink.